All natural oil-based liner for lips. Made of Organic oils & butters including Jojoba Oil, Castor Oil & Shea Butter, our Pencils glide on easily for beautiful, bold colour. They have been specially formulated with all Vegan-friendly ingredients and application is quick and easy with the convenience of a pencil! Ingredients (vegan): Certified Organic Castor Oil, Castor Wax, Certified Organic Shea Butter, Avocado Butter, Certified Organic Carnauba Wax, Certified Organic Jojoba Oil, Natural Vitamin E Oil, Capryllic/Capric Triglycerides (edible plant-based oil) (+/- Mica, Iron Oxides, Manganese Violet, Ultramarine). *Note: Wild Cherry contains Carmine and is not Vegan. 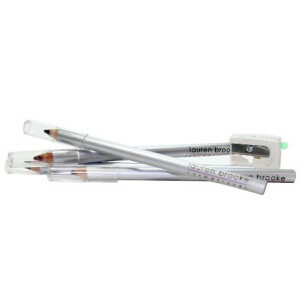 **The colour Truffle makes an excellent eye liner too!